Both Uber and Lyft must feel a bit vulnerable following a decision by Washington’s Supreme Court decision to allow the government to disclose data on what Seattle neighborhoods they serve. The ruling overturns a lower court’s decision to grant an injunction that sided with the transportation companies right to keep data secret. The state Supreme Court, while agreeing that the data qualifies as trade secret material, sent Uber and Lyft back to the lower court, where they must now prove that public disclosure of their data is “clearly not be in the public interest and would substantially and irreparably damage a person or a vital government interest.”1 If Uber and Lyft cannot prove their case in the lower court, they’ll both lose trade secret status for their data. Following a previous legal dispute, Uber and Lyft both provided the city of Seattle with ride-sharing data, including zip codes from their driver and passenger databases. Seattle requires this information to determine if there are underserved areas in the city for this kind of transportation service. This information was requested to evaluate the city’s infrastructure, transportation system, traffic congestion and other transportation issues. After receiving notice of request for the information, Uber sought a state court injunction after establishing that the data was a trade secret. That case was then appealed to the state Supreme Court. On May 31, the Supreme Court overturned the lower court decision and found the records were not protected from public disclosure. According to the Supreme Court, companies are required to meet more rigorous standards to protect data from being released to the public. What’s Next for Uber and Lyft? We’re not sure ourselves, but their legal teams might start looking at some legal precedents to apply in their next appeal, if any are made. What this case does do, however, is wake up small businesses and growing companies of the governmental bureaucracy at work. They should especially be wary of having to submit information deemed proprietary or trade secrets in nature. 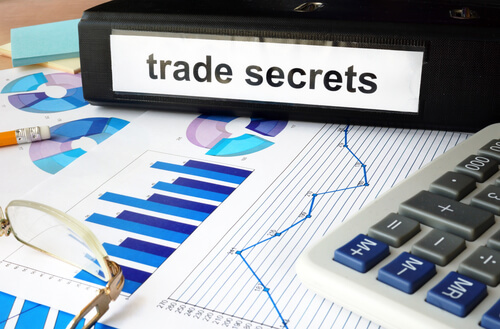 Did you have an employee or contractor steal company trade secrets? Or are you being asked to provide information to a government agency with material your company deems proprietary and company trade secrets? Then contact the Denver Trade Secrets and Intellectual Property Lawyer with Downey & Associates, PC. We specialize in helping clients with sensitive legal matters involving intellectual property law. To schedule an appointment, call us today at 303-643-9399 or send us an e-mail. 1“Uber and Lyft May Have to Disclose Seattle Data They Claim Secret, Supreme Court Rules” published in The Seattle Times, June 2018. 2“Ride-Sharing Services Lose Latest Trade Secret Battle” published in Labor Employment Perspectives, June 2018.